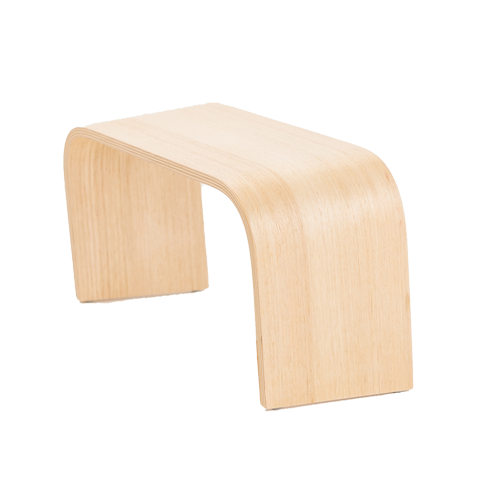 Our PROPPR footrests come in a range of materials and finishes to suit any bathroom and household. The PROPPR was designed to help you simulate the squatting position – because when you PROP (squat), the puborectalis muscle relaxes and your colon straightens, allowing for a quick, easy and complete release. And while strong in purpose, we deliberately set out to make the PROPPR stylish, simple and elegant. The PROPPR delivers modern furniture design for ancient human physiology. This is our premium and original PROPPR. Made in AUSTRALIA out of FSC* certified timber, you’ll celebrate the natural grain as the PROPPR Timber takes absolute pride of place in your bathroom. This is one sleek, designer piece of furniture. Choose from a natural Tasmanian Oak finish, or a subtle Hoop Pine whitewash created to blend in to any designer bathroom. The craft of moulding or bending timber is a specialised skill with only two such manufacturers here in Australia that can make furniture in the style of the PROPPR. Each stool is pressed one at a time; meaning it’s close to handmade. * The Forest Stewardship Council (FSC) is an international non-profit organisation which promotes responsible management of the world’s forests. Established in 1993 the FSC does this by setting standards on forest products, along with certifying and labeling them as eco-friendly. FSC certification is your assurance that a product is made with, or contains, wood that comes from FSC certified forests. Clear – This. Is. INVISIBLE. Well, mostly. If you’re the discreet type, or perhaps you just love things that are sleek and modern; then the invisible PROPPR Acer is for you! 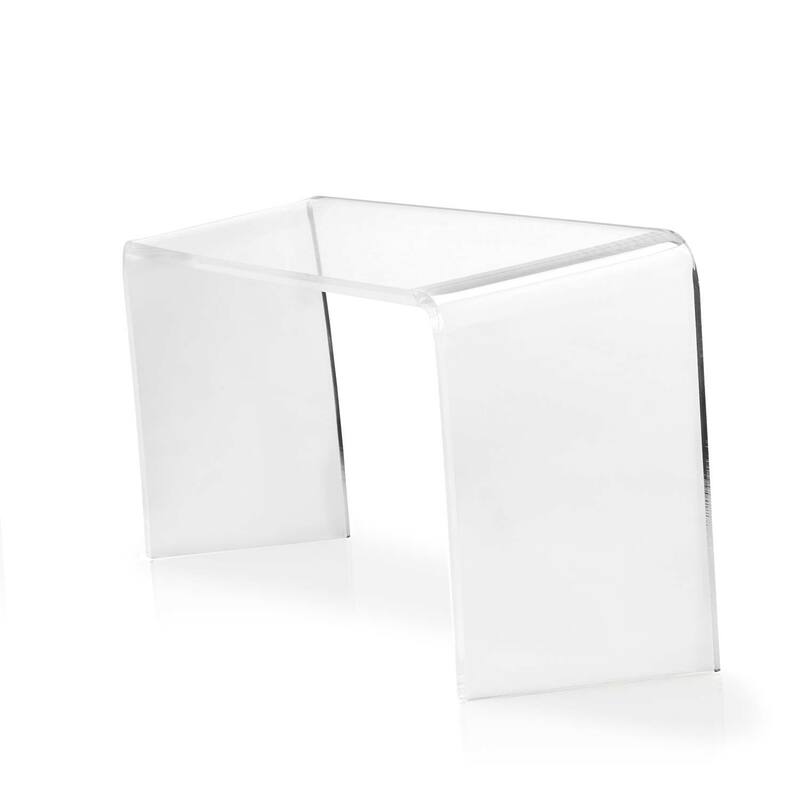 Conveniently made out of clear acrylic, this PROPPR will literally blend into any bathroom. Black – high gloss black; this is sleek, shiny and will make a dramatic statement in an ultra modern bathroom. Also great for office, hotel, gym and yoga studio bathrooms! White – White, white and more FROSTY white. If you love everything in your bathroom to be clean and pristine, then this PROPPR is for you. Please only use your PROPPR as a footrest.